Philippines – Early this month of April the country has been experiencing some series of earthquakes that mostly shakes the Provinces of Batangas and nearby provinces. On April 4, Batangas was hit by a magnitude 5.4 quake, which centered the province of Tingloy, Batangas, it happen nighttime at around 9 pm and it was felt in Batangas, Cavite, Laguna, Makati and other nearby provinces and on April 8, again another earthquake shakes Batangas and this time this is much stronger than the previous one. On Saturday afternoon at around 3pm a strong earthquake shakes the southern part of Luzon which centered the Province of Batangas. The Philippine Institute of Volcanology and Seismology (Phivolcs) recorded 4 strong earthquakes that centered 4 different epicenter and 4 different magnitude in the Provinces of Batangas. The first earthquake was recorded at around 3:07 pm with a magnitude of 5.6 which centered Mabini, Batangas. The quake last for about 10 – 15 seconds with a depth of 27 kilometers. The second shake happens also in the same area in Mabini, Batangas but with much more power than the previous one. It has a magnitude 6.0 and a depth of 24 kilometers, it was the strongest earthquake felt that day. The Third earthquakes were felt in San Luis, Batangas at around 3:29 pm with a magnitude of 4.1 and lastly the fourth earthquake was felt again in Mabini, Batangas at 4:36 pm with a magnitude of 4.7 and a depth of 15 kilometers. Phivolcs announce that the cause of earthquakes in Batangas is all tectonic origins which mean that some local faults move that resulted to some series of earthquakes in Mabini Batangas, San Luis, Batangas and nearby provinces. Now, what to do if an Earthquake suddenly happen when we are inside of our house or buildings? 1. 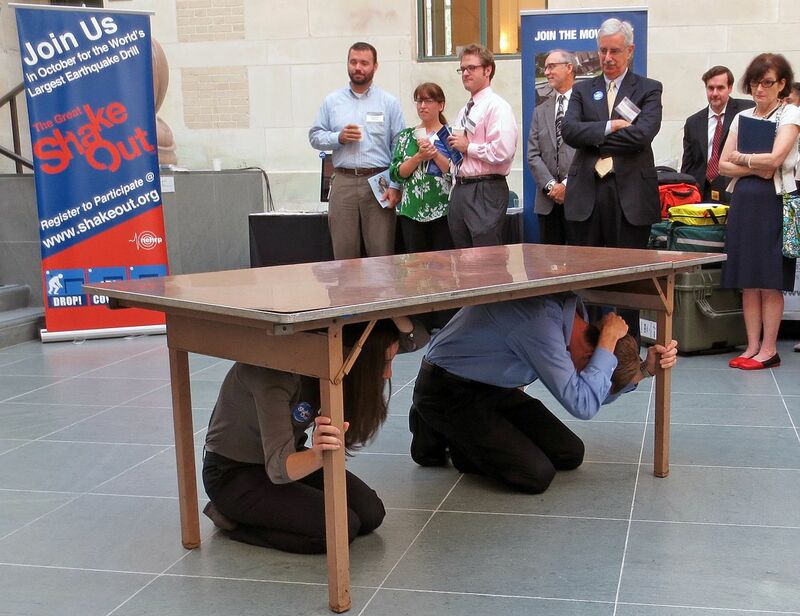 Find a safe area where you and your family or if at works co-workers can hide, hide under a strong wooden table or other strong structure that can provide safety from falling debris? Dock safely under it and cover or protect your head, arms and feet remain there until the shaking ends. 2. Stay away from glass windows, cabinets and other heavy objects that can cause injury. 3. And as much as possible stay calm. Now, what to do if an Earthquake suddenly happen outside? 1. Stay away from tall structures like tress, buildings, power lines, post and others. 2. If you near the ocean shore, quickly move to a higher ground to avoid tsunami in case it happen. 3. Avoid steep slopes that might caused landslide. 1 comment to ''How to Protect Yourself and Your Family from a Strong Earthquake"
I would like to apply every topic from this internet site. In those subjects I’ve discovered such a lot of strategies and they're making lot of services. The whole thing i have examined from the ones blogs, and thank you for updating those services.